Blog > Announcement > Two Adorable Dog Patterns – Including a Limited-Time Free Download! It’s the Year of the Dog! To celebrate Chinese New Year we’ve rounded up some of our favorite dog crochet patterns created by a host of wonderful designers, so you can crochet your very own pup for the occasion! Don’t you just love pugs! With their adorable squishy faces and cute characters, who can resist!? Now you can knit your own pug family with this gorgeous pattern from Julie Richards. 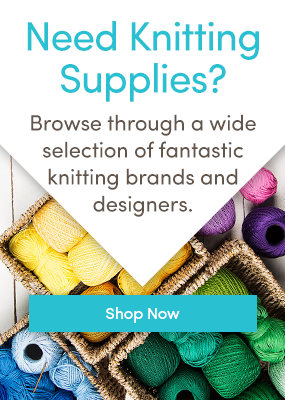 Designed using Debbie Bliss Baby Cashmerino, Stylecraft Special DK and Stylecraft Special Chunky, these make perfect gifts for the pug lover in your life! Pug the puppy is the perfect project for beginner knitters or children! Easy to craft this little critter is the pawfect toy! All you need is Stylecraft Life Chunky and Stylecraft Special Chunky, and you can knit up your very own! Meet Mortimer, this beautiful pattern by Amanda Berry. The charming puppy is knitted in soft cuddly Sirdar Snuggly DK! This canine teddy is one the best in show, perfect for puppy playdates, and FREE for a limited time to celebrate Chinese New Year! What are your favorite dog patterns? Why not share in the comments below! 4 Responses to Two Adorable Dog Patterns – Including a Limited-Time Free Download! The year of the dog ! So I’ll be knitting the Amanda Berry one ! Thanks for the free pattern, my son will love it. I wish there were crochet versions, for those of that cannot knit! These are adorable!